Moncton, N.B.-based licensed producer Organigram announced that its first quarter results for fiscal 2019, which includes operations up to Nov. 30, 2018, reached record net sales. Net revenue reached a record $12.4 million, up 287 per cent sequentially quarter-over-quarter, according to the report. The company’s net revenue for the quarter was limited by post-harvest (extraction, packaging, excising and labeling) capabilities which it said it aggressively looks to augment and gain greater efficiencies on. Engel said the company is preparing for the derivatives and edibles launch in fall 2019. The budget for Phase 4 of Organigram’s Moncton campus expansion has increased from the original $110 estimate to $120 to $125 million due to the increased cost of steel, the timing of winter construction, and expedited timelines. Phase 4A is expected to come online in April 2019 with 31 grow rooms, 4B in August 2019 with 32 grow rooms, and 4C in the Fall of 2019 with 29 grow rooms bringing the company’s target production capacity to 62,000 kg/yr, 89,000 kg/yr, and 113,000 kg/yr, respectively. The company had spent approximately $37 million on Phase 4 by the end of Q1’19.3. 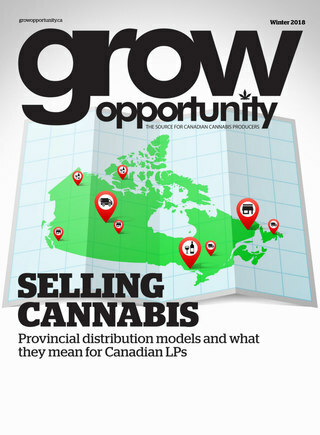 Organigram is currently focusing on becoming an official supplier in the province of Quebec which, if completed, would secure distribution for Organigram in all 10 provinces.